This entry was posted on Friday, February 2nd, 2018 at 9:21 am	and is filed under Latest Warnings, The Coming Storm. You can follow any comments to this entry through the RSS 2.0 feed. Both comments and pings are currently closed. I thought the machines I wrangle (W7 SP-1; 32- and 64-bit) were Flash-free. Indeed, Flash isn’t installed in any of the browsers. But Flash was / is a required component in mobile fone management software provided by Samsung. Flash was also the first thing installed by the canned driver package provided with a Brother printer. So long as hardware manufacturers continue to accompany their products with Flash as a component of the supporting software, it’s difficult to totally avoid Flash. Though it does not (indeed, cannot) on an iPad, Xfinity Stream on Wintel and OS X computers requires Flash to play video content. Does Comcast own Adobe stock? Worth mentioning that these attacks have been originating from North Korea against South Korea since November. I read from “Computing” that Adobe also knew about this zero day flaw for two months now! Hmm? Who to believe? Interesting! My Chrome was already set to “ask first” – I don’t remember setting that. I don’t use IE, but I’m surprised Mozilla has a mitigation for it. I haven’t used Firefox for a while, despite all the hub-bub about the newest version. I still hesitate to uninstall active x, or NPAPI flash, because there is always a site somewhere, that I need to research, that invariably requires either one or the other for me to view content. 1. Does this setting in Chrome propagate to other devices on which Chrome is installed using the same Google account? For example, I have Chrome installed on Windows, macOS, and iOS devices. If I change this setting on one of those devices, does that change show up on the other devices the next time I log in to those devices? 2. On any one machine, does this setting need to be made for each individual user account on that machine? The default setting of Chrome is set to “ask first” but is it enought to block any activity from Flash? So if “the attacks leverage Microsoft Office documents”, does that mean that the vulnerability only applies to “Microsoft Windows computers”, or is OS X vulnerable as well since Office also exists on that platform? According to KrCERT’s advisory, the exploit can be included in a Microsoft Office document or a web page. As a workaround, KrCERT recommends disabling or uninstalling the Flash Player. Firefox appears to be not vulnerable to the web-based exploit. I have disabled flash on my win machines for safety. Have about had it with adobe flash or swf files. I use Firefox. Am I affected? Is there a way to add Flashpoints two md5 fingerprints to Microsoft security essentials? Next, one of my Win 7 pro 64 bit boxes got and odd Microsoft critical update which caused the CPU to spike to 59& or higher constantly. Anybody else get this update? “***TEST ONLY – DO NOT USE*** There are no prerequisites for installing this update. So much for Windows updates. Update setting: Download but let me install. I will turn updates off. It’s been a long time I haven’t install flash player. Tho I never found it useful for the programs and games I ran. Adobe should do something about, make it more secure and I hope they’re doing it. It’s been clear for many years that Flash was written without any thought for security. Security researchers and hackers have been picking off the available exploits one by one for Adobe to patch, but just as there were many vulnerabilities in the past, there are sure to be many remaining. I just recently noticed that Chrome has updated itself to v28.0.0.161. Verified via Adobe’s About Flash Player page. Has anyone else seen this? FWIW, v28.0.0.161 is what I see on my Chrome 64.0.3282.140 (the latest as far as I can tell). @Mike Gallagher–Yes. I’m seeing v28.0.0.161 for “Adobe Flash Player” on my Chromebook’s chrome://components page. I saw Google’s Flash update notification in my system tray a day or three ago. I haven’t missed Flash since I got rid of a mid-grade firewall that insisted on using Flash for its graphical console–over HTTP, no less. http://get.adobe.com/flashplayer/about/ reports that 28.0.0.137 is the newest version available. That’s also what the site is reporting as the version of Flash installed on my copy of Chrome. I’m not the only one that’s seen this file. I checked the hash on VT. Both flavors of Flash (AX & non-AX) have been updated for download as of today for v28.0.0.161. How about running the poorly secured programs/browsers on separate computers, run off a Live CD? People with classified acesss for government systems generally should not be checking missile blueprints with the same box used for personal banking and updating social accounts. Same reason you don’t use the same phone for your mistresses and wife. Or computers for pr0n and work. Or email account to arrange for drug shipments and plan vacations. Ubuntu and LibreOffice and the TorBrowser…. If I’m not mistaken, Flash in Microsoft Office uses the functionality of the Internet Explorer ActiveX plug-in, so you could probably get away with having Flash installed in Firefox and/or Chrome as long as you don’t have the IE plug-in. This only applies to this particular exploit, of course. Not related to Flash but……The U.S. Justice Department announced that Peter Yuryevich Levashov, also known as Petr Levashov, Pyotr Levashov, Peter Severa, Petr Severa and Sergey Astakhov, of St. Petersburg, Russia, was arraigned on Friday in Connecticut. He has pleaded not guilty to the charges brought against him. If run in read only mode does it not to execute the content? Does protected view really protect? Does anyone remember the days when Flash was used for creating animations? What about it being limited to simple basic clickable interactions? Those were secure and safe days. Before Adobe bought Macromedia and turned it into the monster that it has become. 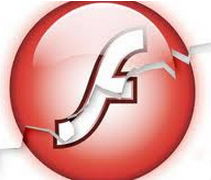 Lots of required enterprise eLearning is required to be run using Flash. Typically built in Captivate or Storyline. Those legacy lessons are slowly being phased out for HTML5. Is click to play the default for flash in Microsoft Edge?